Ask fellow campers about "Moose Creek Flat" and nearby attractions. Although it's next to the highway, the roar of the Gallatin River a few feet away drowns any traffic noise. Not much shade, sites are large. BEWARE: fill your water tank BEFORE you get there. There is a Drinking by water pump but it won't connect to your hose. Plenty of hiking around the area- caught a rainbow trout feet from my RV. There's a picnic area as well as a boat launch ( Or tubing). 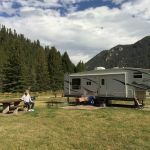 Big Sky is close enough to head to for supplies or a cold beer at Lone Pine Brewery. Popular area to camp for fishermen and hunters. 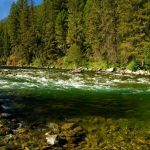 If you're into fishing you'll love the area. #1 is closest to the water, drinking spout and bathroom. # 2,3,4 and 9 get some shade from the surrounding pines. Again, no spout to connect your hose to fill your RV tank. Site 014 is available for group day-use picnicking, maximum 50 people; if not reserved, the site is available without a fee. 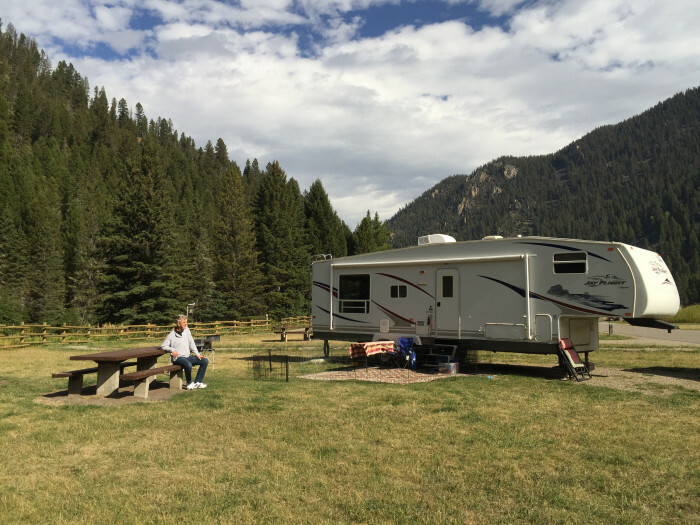 We camped at Moose Creek Flat in a Fifth Wheel. Are you affiliated with Moose Creek Flat ?